Despite the ugly weather over the weekend, I managed to go to a warehouse sale called "House of Quirky" with two high school friends at Moore Park. The sale stocked brands such as MINKPINK, Evil Twin, Somedays Lovin, Staple the Label, Hunt No More, Paint it Red, Quirky Circus and Lost Girls. We set off in the morning and tucked into some delicious crepes to give us energy to shop since we hadn't eaten breakfast. When we arrived at the hall, it was a complete mess. Boxes of clothes were positioned around the room with clothes scattered all around the floor while some hung neatly on racks which made it easier to go through. After three hours, I only managed to score 4 items but I was very happy with them all and don't regret a single one. My friends however left with over 10 items each, they were extremely happy! Maybe I'm just picky haha. We all left with sore arms from holding the clothes on one arm while looking through clothes with the other but it was all worth it to go home with new goodies! Cannot wait to wear these new clothes! The jackets are perfect for the cold winter days so hopefully can show you guys in upcoming posts. So what are your best finds at warehouse sales? everything's pretty! 4 items are amazing already! great inspiration for the summer!! great post! And lovely blazer! Cute skirt! 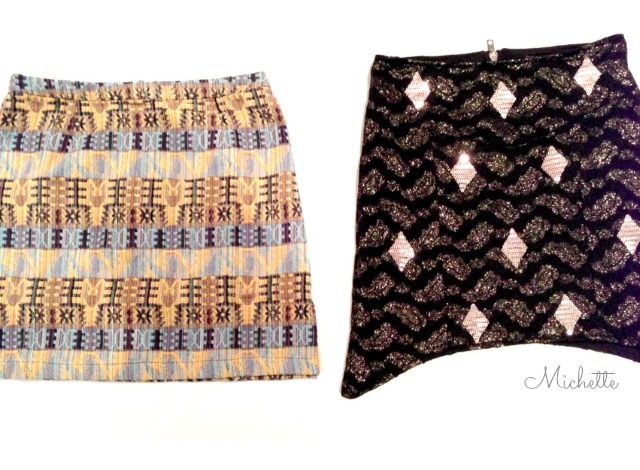 I love all these skirt <3 Supercool ! very nice blazer!!! great scores on those! That sounds great. I have never heard o f this particular warehouse so I must check it out. The jacket looks amazing!! By the way your blog is awesome!! all the stuff is very cool! Loving the blazers :) spesh the red one!